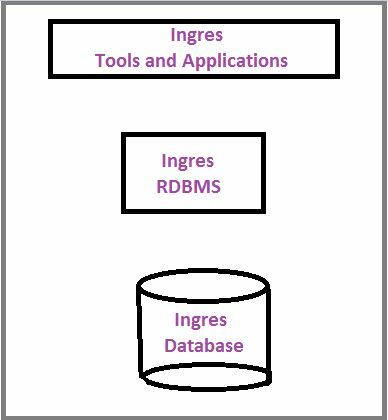 Ingres is open source Relational Database Management System (RDBMS) that helps in reducing various IT costs and on the other hand provides the class features that can be expected from a high level database. It is mainly developed by a database research group at UC Berkeley. The commercial version of Ingres is called Open Ingres. University Ingres - University Ingres was the first open source relational database management system which was developed in the 1970's by Michael Stonebreaker at the University of California, it's also called public domain version and was free to use and distribute. Commercial Ingres - Commercial version of Ingres was developed and marketed by Computer Associates for which one has to pay for its usage, it's also called Open Ingres. These days only commercial Ingres is in use and we will discuss only about it. Ingres is a robust RDBMS which provides some first-class development tools. It is mainly used in large commercial mission-critical applications and government applications. SQL and QUEL are the query language of the Ingres. To make Ingres more object oriented DBMS, many object oriented features have been added to it. It is cross platform and is mainly written in C.
Increased Flexibility -Ingres helps business to improve functionality, reduce risk, best solutions to customer. It also supports the latest standards such as JDBC, ODBC and .NET. Easy Migration -A Migration Toolkit helps customers in migrating to Ingres from Oracle's Enterprise and My SQL databases. Security -Ingres provides various security mechanisms such as regulatory compliance, configurable user authentication etc. It also provides column encryption capabilities that enable database administrators to secure specific fields in a record such as credit card numbers, social security numbers without having to encrypt the entire table. Performance-Ingres improves performance of bulk loading by 50% and enables the same high performance loading via standards based JDBC 4.0 driver. Technology- Ingres uses high performance technologies such as smart query optimizer, enhanced log writer. Parallel queries-It allows superb scalability, as a single query can get broken into components that run across all available resources. Online table reorganization-There is no need to take the database offline to perform routine maintenance. Ingres is provided with a large number of tools to support large and mission critical production environments. These tools lead to more capabilities and enhanced performance of Ingres. Checksum- It is used to validate data. It reads each row and column in a table and computes a checksum for the table. Ingmon - Ingmon is monitoring and management tool which provides an early warning for possible issues within an Ingres database. It sends alerts to email through SMTP server for auditing purpose. It is fully configurable by the use of configuration files. CompareDB.ksh - It compares tables of two databases at data level. Wdw.ksh - It is used for knowing who did what. 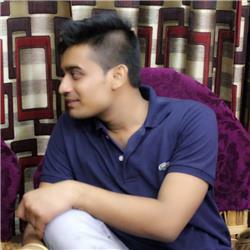 Rfwd.ksh and Ckpt.ksh -These two wrapper scripts handles various aspects of backup and recovery that usually performed manually by DBA.